ELIZABETH PEREZ IS A PROUD CALIFORNIAN originally from Fresno, with both Native- American and Mexican-American roots. A Navy combat veteran, she hails from generations of farm workers, many of whom also proudly served in the U.S. military. In June 2017, Governor Brown appointed Elizabeth to the California Veterans Board, where she served with distinction. 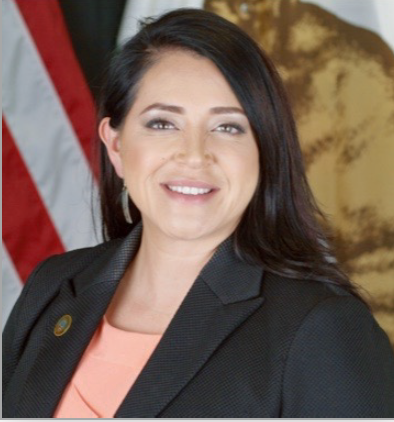 Governor Brown appointed Ms. Perez on January 9, 2018, to serve as Deputy Secretary for Minority Veterans in the California Department of Veterans Affairs. A successful entrepreneur, Elizabeth founded GCG in 2009, where she now serves as a non-executive board member. For over 12 years, she worked in the energy and water conservation industry. On active duty in the Navy from 1997 to 2005, Elizabeth served as an aviation logistics specialist, deploying as part of the United States 5th and 6th Fleets. She received an honorable discharge in 2005. Elizabeth is a graduate of Embry Riddle Aeronautical University and is currently an MBA Candidate at Syracuse University’s Whitman School of Management.